Purple Valley Capital, Inc. utilizes a disciplined and systematic strategy to trade a wide array of global futures markets with the goal of capturing large persistent market trends. The strategy is highly diversified, trading over 40 markets, across many time frames, both long and short. The core of the investment program is to cut losing trades very quickly and systematically, ride winners, appropriately manage risk, and be consistent. Patience and discipline are essential while trading this program. 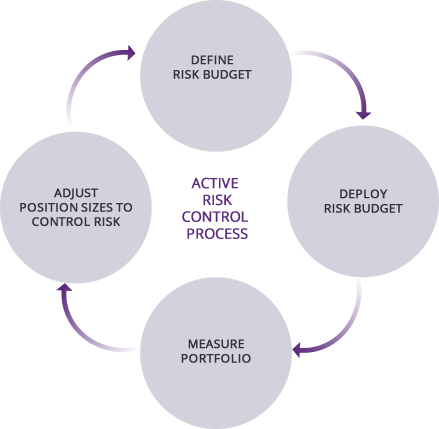 The active risk control process seeks to protect capital and limit downside risk, while skewing returns and volatility to the upside. Purple Valley Capital strives to trade the most diversified futures portfolio possible for our investors. The strategy trades over 40 different exchange traded futures markets including currencies, interest rates, global stock indices, grains, softs (food and fiber), meats, metals, and energies. Our exposure to such a wide array of markets add value to both individual and institutional portfolios. Editor in Chief Daniel Collins profiles PVC in the March 2015 cover story of Futures Magazine. We seek to generate positive returns that are uncorrelated to traditional asset classes by trading a diverse set of markets over varying times frames, both long and short. Investment approach is grounded in academic and practitioner research dating back several decades. PVC's management has traded its systematic risk management strategy through bull markets, bear markets, flat markets, liquidity crises, and flash crashes. PVC's trading and operations infrastructure allows efficient access to more than 40 global markets while utilizing industry leading professionals in legal, audit, compliance, and administration. We help clients gain understanding of our managed futures strategy by providing deep insight into our investment process. FUTURES TRADING IS SPECULATIVE & INVOLVES A HIGH DEGREE OF RISK. THERE CAN BE NO ASSURANCE THAT THE STRATEGY WILL ACHIEVE ITS OBJECTIVES, RISK MANAGEMENT TECHNIQUES WILL BE SUCCESSFUL OR THAT THAT LOSSES WILL BE AVOIDED.